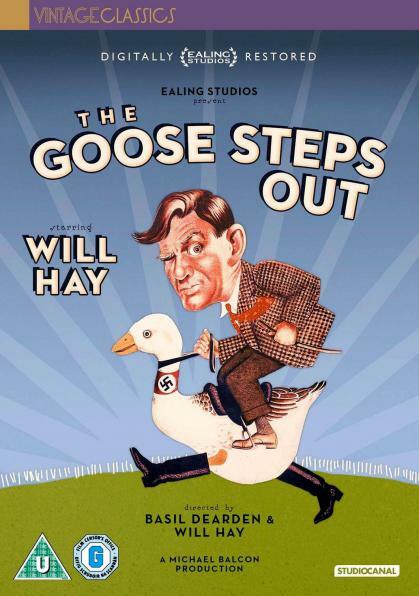 Comedy legend Will Hay stars as William Potts, a hapless, clumsy schoolteacher, who just happens to be an identical body double for a notorious German Nazi general. When the army is made aware of this uncanny resemblance to the German, who they are currently holding prisoner, they decide to drop the reluctant Mr Potts behind enemy lines. His deadly mission is to find and retrieve information on a secret weapon that the Germans are planning to use. But whilst impersonating the Nazi general, William Potts manages to infiltrate the college of Hitler Youth. He also manages to make a big impression on the students who are being trained as spies and are learning how to fit into British society. Luckily Mr Potts is at hand to give them lots of handy hints in honour of the war effort. Featuring: The Goose Steps Out (1942).